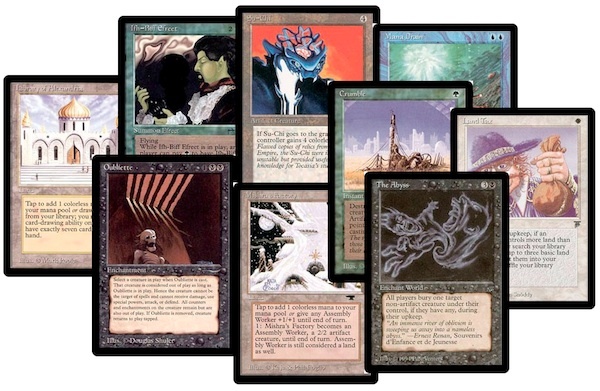 The influence of an upcoming Block Constructed Pro Tour has my mind once again filled with visions of running Block events from before there were Block events…or even from before there were proper blocks. It feels like this block would end up dominated by weird, frustrating control decks. Legends in particular is inimical to creatures. 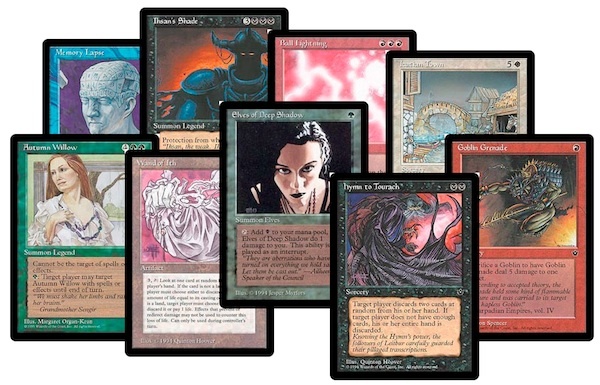 I recall when Legends was newly on the scene and you’d run into The Abyss and find yourself completely locked out of the game until your opponent killed you with Mirror Universe. In case you’re confused, the Mirror Universe kill no longer works. The only saving grace for creature-based strategies here is Arabian Nights. Although they’re pretty tame by contemporary standards, the Djinn and Efreet from Arabian Nights were utterly badass creatures that were, for quite a while afterward, considered pretty overpowered. This is an even more curious “block” than the last one. It’s clearly down-powered, since its made of one set that lost power due to being more coherently flavored and two that were intentionally limited. I actually don’t have much to add to that, except that despite the sets being low power in general, you do still get access to goodies like Hymn to Tourach and Goblin Grenade. So what do you think? Would you play in either of these ad hoc blocks?